1. Ensure you have connected your removable media and that it has been formatted and assigned an appropriate drive letter in your Windows operating system. 2. 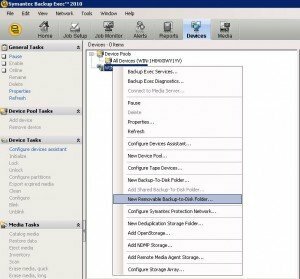 Open Backup Exec 2010 and click the “Devices” tab. 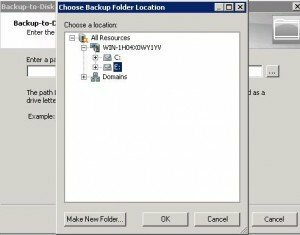 In the devices sub window, right click your server name and then select “New Removable Backup-to-Disk Folder” from the available context menu. 3. 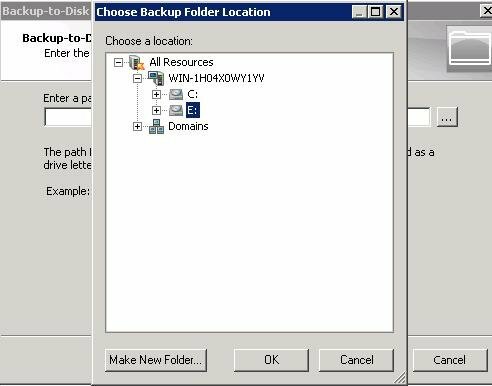 Follow the Backup to Disk Wizard, and when prompted for a path to your backup to disk folder click “…” to browse and select your removable media drive from the resources window. 4. Complete the rest of the wizard, filling the the values as required. 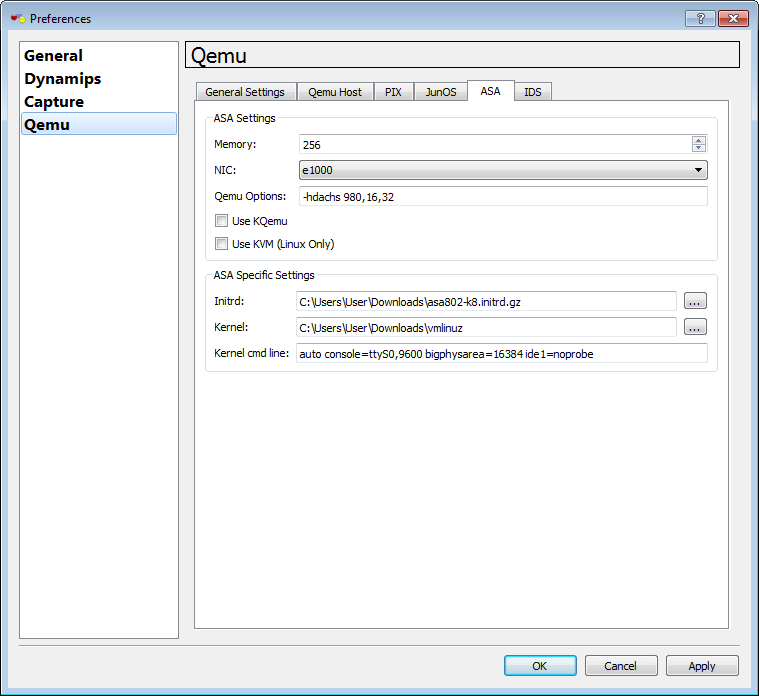 The maximum file size is generally set the size of the removable storage device, the maximum backup sets per file can be left at the default of 100, and the low disk space threshold can be left at it’s default also. 5. Once the creation of the backup to disk folder is completed, you will now notice a new device listed under the “Devices” tab in Backup Exec. 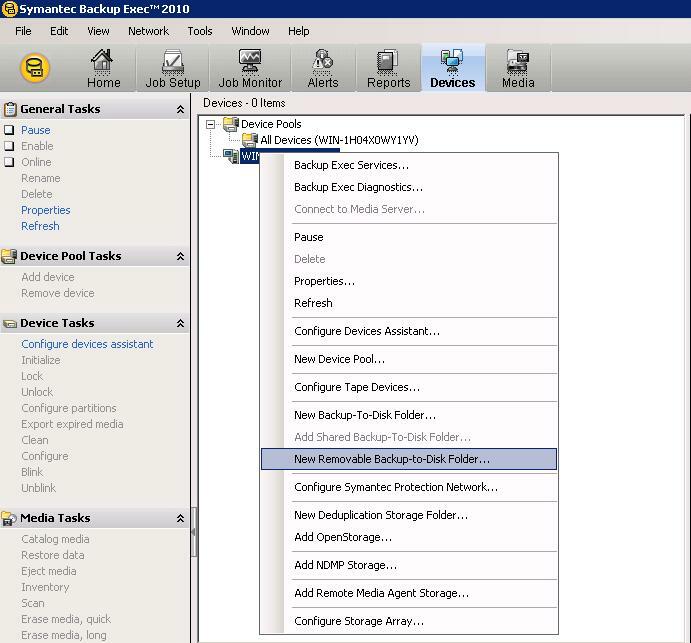 If you did not name your device during the creation wizard you will see it listed as “Removable Backup-to-Disk Folder 1″. If you expand the device you will notice a folder will be visible (FLDR000001) denoted by the USB symbol. “Right click this folder and select associate with media set”. From here you can place the folder in the media set that your backup job is targeted at. 6. Now you have associated the removable backup to disk folder with your media set, it is recommended you re-target you backup job to point to the removable media device we have created. 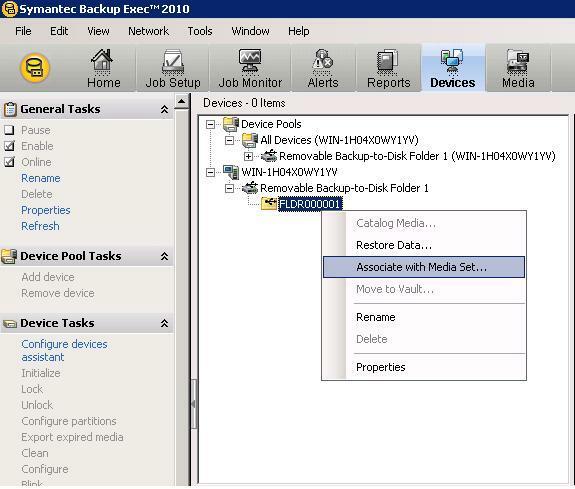 To do so click the “Monitor” tab in Backup Exec and double click your required backup job. When the backup job properties window opens, select “Device and Media” from the sub menu’s located on the left. Using the drop down menu available under the device section, select your removable media drive and click “Submit” to save your changes. This will now re-target your backup job to your removable media. 2. Double click the FramePkg.exe file and let the agent install. Please note, you will need administrative rights over the workstation to perform this. 5. You will now be presented with the McAfee Agent console, click “Collect and Send Props”. 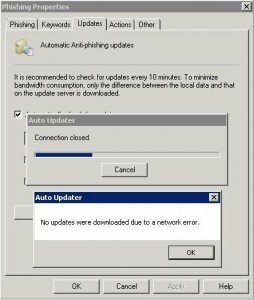 This prompts the agent to advertise itself to the ePO server and enforce any policies or client tasks that maybe set, which in my case is usually the installation of the ant-virus product itself. I hope this eases your ePO frustrations, it certainly did mine. 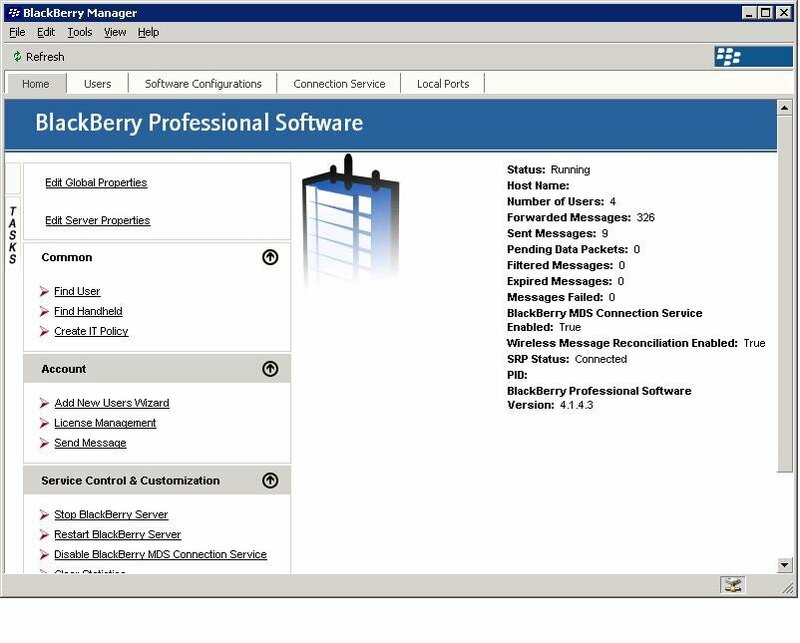 BlackBerry Professional Software (BPS), is a relatively unknown product that is available through most mobile operators as an intermediate between BlackBerry Internet Service (BIS) and BlackBerry Enterprise Server (BES). While BPS is actually very similar to BES, I am going to cover the most frequent task of adding users and provisioning devices. You will notice I reference BES frequently, as mentioned earlier BPS is very similar and in most cases mobile operators consider these the same mobile service. There really isn’t any distinction from an operators point of view between the two products. 1. Ensure your BlackBerry device is provisioned for the BES service, your mobile operator will be able to perform this for you. Make sure any BIS addresses you may have associated with your BlackBerry are removed. 2. Backup your data, as a part of the process it is recommended that you perform a data wipe on your BlackBerry. 1. 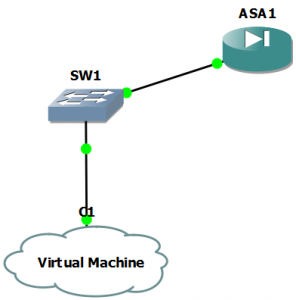 Login to your BPS server using your BESAdmin account. 2. Double click the BlackBerry Manager icon located either on your desktop or through Start -> All Programmes -> BlackBerry Professional Software -> BlackBerry Manager. 3. When presented with the BPS home page, click the users tab. 4. In the users window, locate an area of free white space in the centre, right click and select Add Users. 5. From the user selection window, which queries your Exchange servers Global Address List (GAL), pick the user or users you require and click Select and then OK.
6. You user or users will now be visible in BlackBerry Manager. 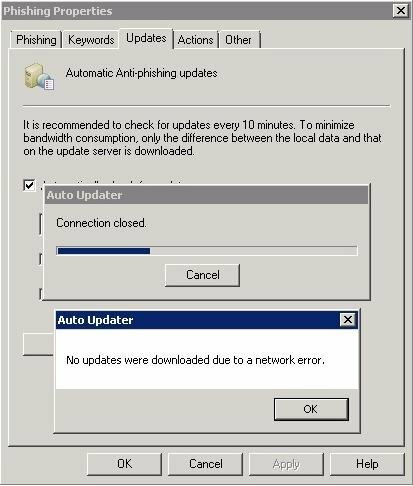 Right click the user you have added and select Set Activation Password. 7. When the Activation Password window opens, set a password of your choice. 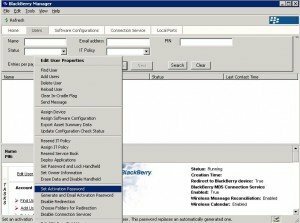 This can be anything you like and is a one time password used to simply activate your BlackBerry with BPS. 8. On your BlackBerry device perform a data wipe. The wipe function is generally located under the Options -> Settings -> “Security” or “Security Options” sub menu’s. 9. 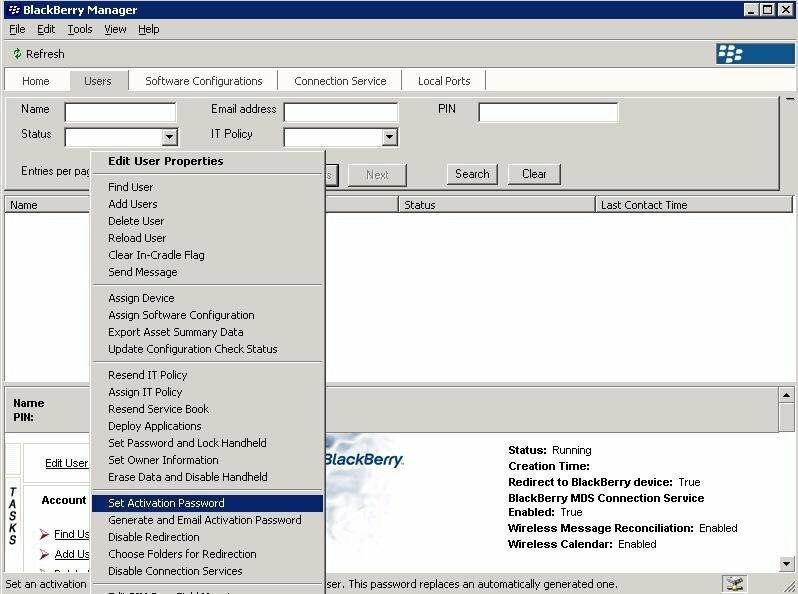 When the device has been wiped, hit the BlackBerry button and then navigate to Manage Connections and then check/enable the Mobile Network option. Also take this opportunity to set your date and time settings. 10. Navigate back to the BlackBerry’s options screen and select Advanced Options ->Enterprise Activation. On the activation screen the only two fields you need to complete are the e-mail address and password entries. 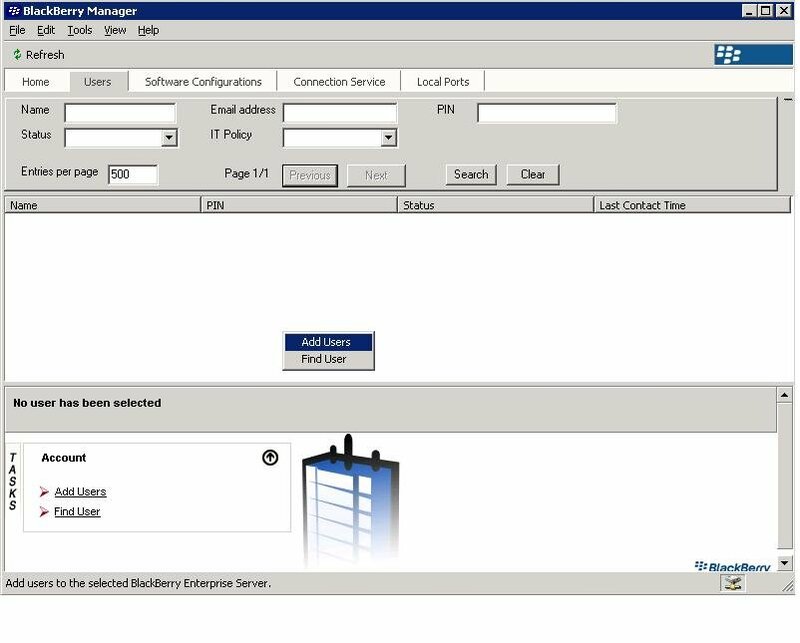 The e-mail address is the users primary SMTP address, for example joe@bloggs.com and the password is the one you set through the BlackBerry Manager console for the user (Steps 6-7). 11. The BlackBerry will then attempt to activate and it’s status will be updated by a percentage counter located in the right hand corner of the display. Depending on the amount of messages, contacts and calendar appointments the user has, this may take some time. Once complete, your all done!